Each year, we choose a small or medium-sized charity to support as our Charity of the Year. In 2018, we gave the award to Veterans Aid, a charity dedicated to supporting ex-servicemen and women. Their main mission to avert crises, particularly those that lead to homelessness. Charities such as Veterans Aid rely on robust data to prove their work provides tangible benefits, not just to the people they help but to society in general. Veterans Aid approached Pro Bono Economics (PBE) to help evidence their impact. PBE match volunteer economists with charities to produce financial reports. 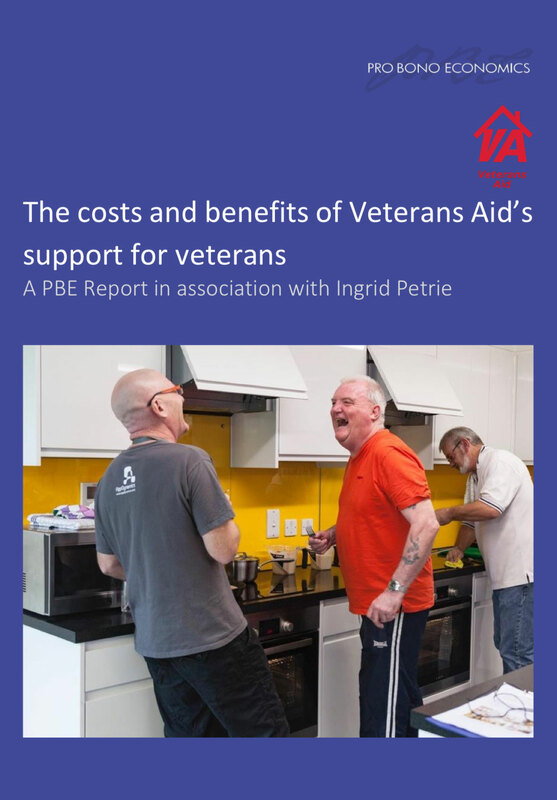 Although the existing CRM system we had set up for Veterans Aid in 2015 had enabled the charity to accurately record all of their expenditure and activity, the raw data needed refining to be of use in the PBE report. As part of our Charity of the Year support, we donated 50 hours of developer time to build a customised database for this purpose. The quality of the data was commended by PBE and helped Veterans Aid to back up their crucial work with hard figures. According to the report, Veterans Aid support amounted to an estimated £965,000 to the economy, mainly due to increased employment but also through reduced homelessness. This year we will be supporting Womankind which our team unanimously chose as our 2019 Charity of the Year. Please visit the linked article to see how we plan to help.